When William Jackson “Jack” Marion was hanged for murder March 25, 1887, he took to the grave the knowledge of what really happened to John Cameron. What he didn’t know was that he would go down in history as the last person officially hanged in Gage County as well as in the State of Nebraska. A copy of the actual death warrant served by Sheriff Nathaniel Herron is on file at the Gage County Historical Society Museum in Beatrice. 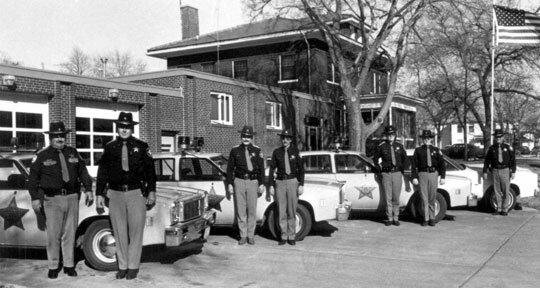 Construction began on the new jail facility in 1975 and was completed in 1977. The construction added the ambulance department, a larger jail area, and office space. The jail area has the capacity to house 26 male and four female inmates. The average daily population in the jail is 20 and at times has been to full capacity but currently have been running 15-25 inmates being held in other facilities due to over population. Fifteen communities besides the county seat, Beatrice, are located within the boundaries of Gage County. 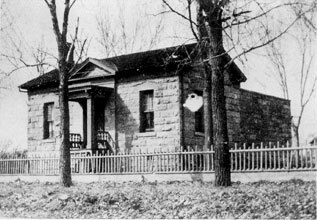 Photos of the Sheriff's Office/Jail before addition. First was 1918 and the second photo was taken on 10/16/61. Beatrice was founded in 1857 and named in honor of Julia Beatrice Kinney, daughter of Judge J.F. Kinney, the first president of the Nebraska Association. 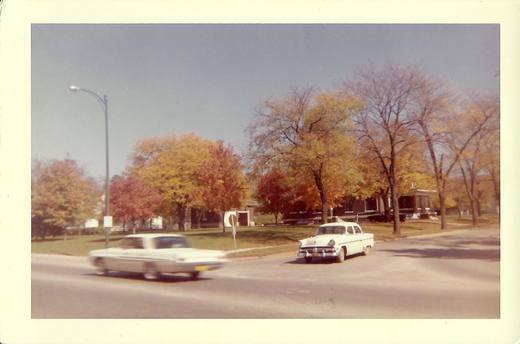 The Association explored Nebraska for the purpose of selecting town sites. After surveying the streams and rolling prairie surrounding what is now Beatrice, they knew their quest was at an end. These badges pictured below show the progression over the years of how they have changed. The ¨Special Deputy¨ badge was probably from the 50´s and 60´s, the five point star was worn up until the early 80´s at which time the seven point star was adopted by all Sheriff´s Offices in the state of Nebraska. The millennium badge was specially designed for the millennium year 2000 by V. H. Blackington Badge Company, Inc out of Attleboro Falls, Massachusetts. It was a one time die cast that law enforcement officers could purchase at that time only. Gold colored badges indicate rank held in supervision and management positions. Silver colored badges symbolize investigator, road patrol deputies, reserve deputies, part-time deputies, and transport deputies. 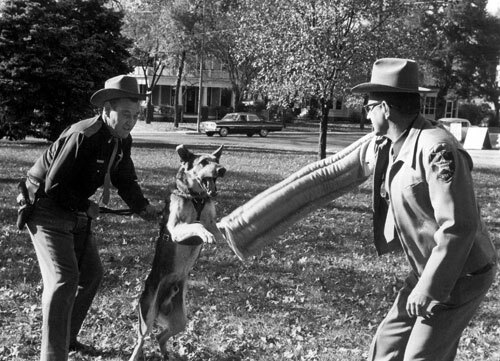 Sheriff Fred Steinkamp Jr (left) and Deputy Sheriff Cal Gullion (right) are shown working with "Mike," the Sheriff´s Office dog. 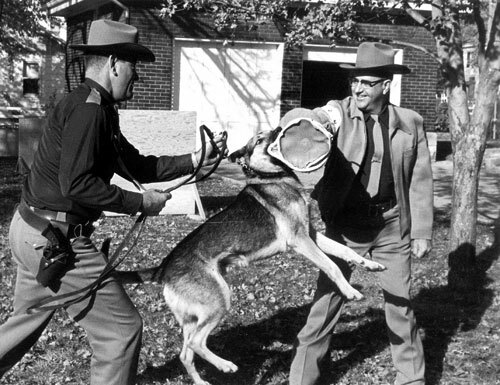 This was circa 1960s.